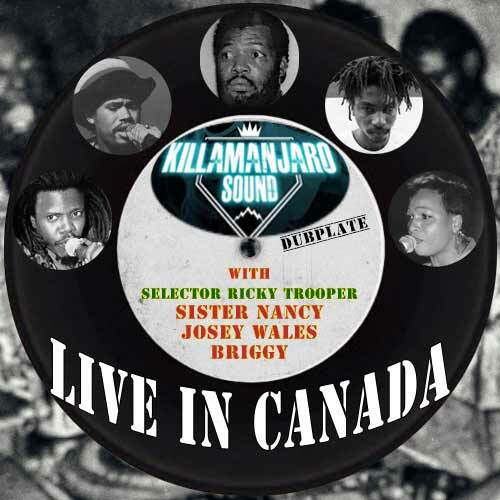 Here’s a nice 2008 live session from Killamanjaro, the Jamaican sound system founded in the summer of 1969, and best known for their clashes and large amount of classic reggae dubplates. Selector is the one and only Ricky Trooper. Featuring live performances by Briggy, Josey Wales and Sister Nancy. Nuff dubs from Garnett Silk, Johnny Osbourne, Mykal Rose, Capleton, Lukie D, Al Campbell, Sammy Dread, Luciano, Leroy Sibbles, Bounty Killer and more. Good sound quality!